The French ear wires are either sterling silver or gold fill. Posts are surgical steel. 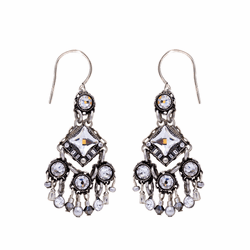 The Lever back Earrings are on high quality Euro wires which are either antiqued brass or silver-plated antiqued brass. 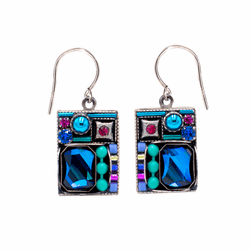 The findings used in the jewelry are brass that has been silver plated and then antiqued. 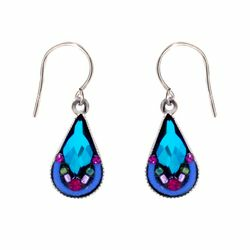 Firefly offers intricately embellished artisan jewelry, specializing in innovative color mixes and meticulous workmanship. 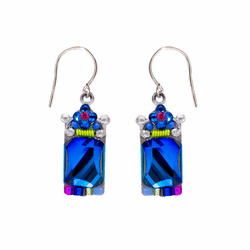 Our designs are elegant, yet whimsical, and sparkle with the use of Swarovski crystals. 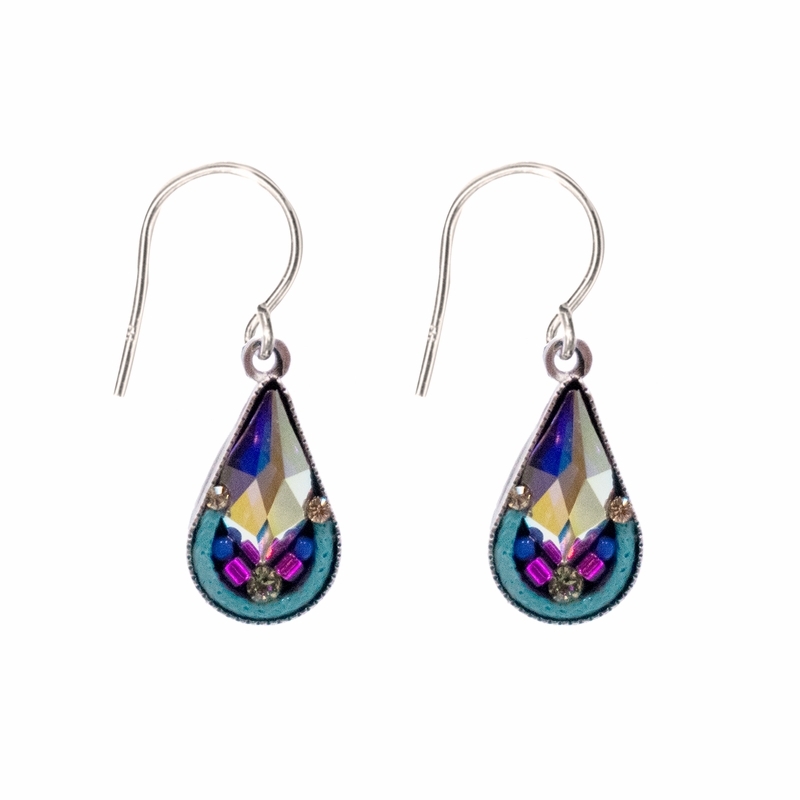 The company has a passion for precise craftsmanship, attention to harmony and beauty, and a strong eye for detail.